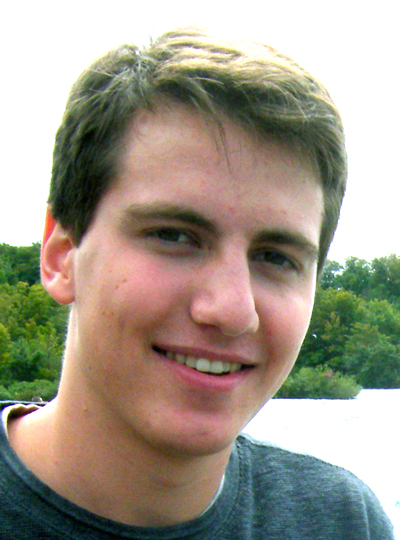 Allen is a junior physics and philosophy double major at Grove City College in Pennsylvania. In his time as a Grove City student, he has spent a summer internship and four semesters researching nanotechnology on campus, and in 2012 he was a part of the SPS Mather Policy Internship, where he interned for Congress on the Science Committee. He has been actively involved with the local SPS chapter since he came to college, and he will be serving as president for his senior year. After graduating, he hopes to pursue a Ph.D. in experimental physics, but he is not yet sure which area interests him most. Outside the classroom, Allen is assistant captain of the GCC varsity debate team, runs tutoring sessions for physics students, and has recited the periodic table in four breaths. In his spare time, he enjoy reading, piano, backpacking, and debate, with a little Frisbee-golf on the side.